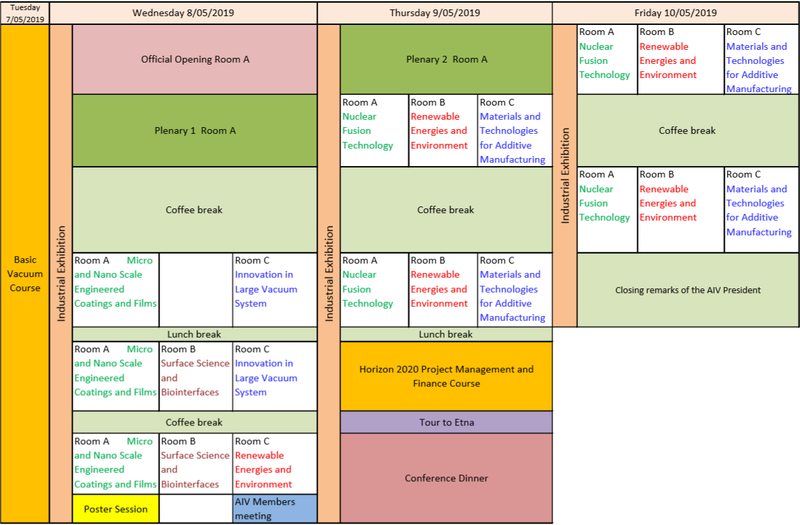 The conference program will feature oral and poster presentations that provide scientific information and ideas relevant to the topic sessions. High efficiency HJT solar cells: Innovative silicon based PV technology for reducing energy generation costs in solar plants. Spectrophotometrical monitoring system, integrated in an Autonomous Underwater Vehicle, for continuous heavy metal detection near offshore sites. Submit your abstract in 3 simple steps! The abstract to be submitted can contain text and images without attachments and/or executable files. Abstract should be original work. All abbreviations must be spelled out on first use. Abstract should be thoroughly checked for spelling and grammar. Please noted that AIV allows the submission of only one paper for registration. Of course, a corresponding author can be the same for multiple papers, but each paper should have a different registered author participating the conference. The abstract must summarize the problem, approach and results obtained. It must be objective and technical. No trade names, trademarks, product names or a commercial tone allowed. Abstracts must be submitted through the conference registration form. Submission by any other means, such as mail or email, will not be accepted. Do not make multiple submissions of the same abstract. Abstracts must be prepared in English. During the submission please select the topic of the abstract between the list presented. All abstracts will be reviewed by the scientific committee on the basis of the scientific quality and of the relevance with respect to the conference themes and objectives. A confirmation will be sent to the email address given when submitted. Author notification will be sent by April 15th, 2019. In the notification it will be clarified if the presentation will be oral or with a poster. Presentation Times: 20 minutes for technical presentations. Contribution must be of technical-scientific nature. Promotional material will be rejected. The poster must be in English and have the max. following dimensions: 80 cm (width) x 120 cm (height). The authors are responsible to bring and place their poster on the stand at the beginning of the Conference and to remove it at the end of the event. AIV is offering a student award for the best oral or poster presentation. The award consists of a certificate and a cash prize of 400 €. A maximum of three finalists will be selected. The selection of finalists and the award winner will be made by the scientific committees based on scientific merit and originality of their work. On the registration form, participants can select to take the course in Basic Vacuum. The course will be held on 7th May 2019, from 10:00 to 18:00, at the Hilton Hotel, Viale Jannuzzo, 47, 98035 Giardini Naxos (ME). The course will be held in ITALIAN language. The vacuum technology course issues a certificate following the passage of a final test. The certificate can provide university credits for doctoral programs. On the registration form, participants can select to take the course in Horizon 2020 Project Management and Finance. From Horizon 2020 to Horizon Europe. 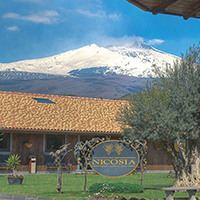 The course will be held on 9th May 2019, from 13:30 to 15:00, at the Hilton Hotel, Viale Jannuzzo, 47, 98035 Giardini Naxos (ME). The course will be held in ITALIAN language. Original research papers will be considered for publication in Journal of Vacuum Science & Technology B (AVS). From the airport there is a direct bus to Taormina, which also stops at Giardini-Naxos. The bus stop "Recanati" is the main destination stop. Buses leave every hour. The bus stop is about a hundred meters to the right as you exit the airport. Regional tickets can also be purchased directly on the bus. The ATM service is not available! The ticket costs about € 8 per person approx. The journey takes about an hour and a quarter. Approximate cost of travel by taxi is around 110 Euros. The journey takes about an hour. The taxi stand is in front of the bus exit. It is possible to rent a car at the parking lot in front of the airport. All major rental companies are present (Avis, Hertz, Maggiore, Auto Europa). From the airport it is possible to reach Giardini Naxos in about an hour, taking the A18 motorway towards Messina, exiting at the Giardini-Naxos tollbooth. Take the A19 Palermo-Catania motorway towards Catania. At the end of the A-19 follow the signs to take the A-18 motorway. Take the Giardini Naxos exit and follow the indications to Recanati. The distance is 285 Km. Admission: Free access for all registered participants, accompanying persons and exhibitors. Admission: Free access for regular delegates and accompanying persons with a valid ticket. 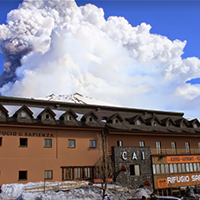 Transfer: Transportation will be provided from Giardini Naxos to Etna and back. AIV was established in 1963 as Italian Vacuum Association with the aim of fostering the diffusion of the knowledge in vacuum science and technology and its application to surface and material sciences, interfaces and materials for the electronic, thin films, plasma physics as well as metallurgy. From the very beginning AIV has devoted remarkable efforts to connect the industrial and the academic worlds, trying to have them communicate effectively through dedicated initiatives, like workshops, seminars, conferences or schools. Since January 2008 AIV has changed his name in AIV-Italian Association of Science and Technology, redefining its scopes and broadening them to encompass the diffusion of the knowledge of vacuum science and technology in a variety of fields and applications related to new materials, devices and processes based on vacuum. With this change the focus of the Association is shifted from the pure vacuum science and technology to a variety of consolidated and emerging areas which have vacuum as a common thread. AIV is a member of International Union for Vacuum Science, Technique and Applications (IUVSTA).